Search for more Calgary neighbourhoods. 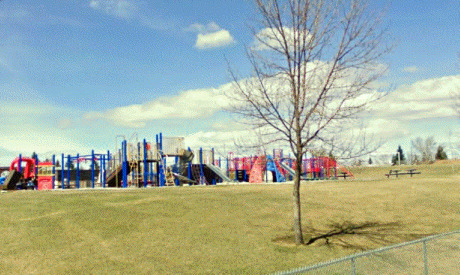 Calgary Marlborough Park can be found near the far east stretches of the city. South of 16 Avenue (Alberta Highway 1) but north of Memorial Drive, and nestled snug between 68th and 52nd streets. This family-oriented area (#152 on the Calgary map above) is well-served by a leisure centre, with skating in winter, schools and daycares and Marlborough Park is surrounded by shopping and restaurants, many of which residents get to by walking. And with the revitalization of 17 Avenue East, it just gets better. Good access to the Calgary ring road via 16th Avenue eastbound makes Marlborough Park in northeast Calgary quite convenient for drivers as well. Downtown is a short drive westward on Memorial Drive, Marlborough Mall, Sunridge Mall, the Real Canadian Superstore and the Peter Lougheed Hospital are just a quick jaunt up 36th Street. Since the area was developed in the mid 1970's and is situated on the east side, prospective owners can find Calgary real estate bargains on appealing, decent-sized homes that are developing character but not too old. Mature trees abound throughout Marborough Park, making it quite attractive. Almost classic. You'll find it especially so if you look down the many quiet streets located within the neighbourhood. Marlborough Park kids have quite a few choices for your children to attend school. The little 'uns have either Roland Michener School or Cappy Smart School and then Dr. Gladys M. Egbert School when they get a little older. Most will go to Forest Lawn High School afterwards. But there are other options if you desire. See the Calgary High Schools page for high school locations. Catholic kids could choose Holy Redeemer School for the first years, then St. Martha Junior High Followed by Father Lacombe High School at 3615 Radcliffe Dr SE. After that it is just a 15 minute drive west to University of Calgary or SAIT, or 20 minutes to Mount Royal University. With 8500 other residents, you should not feel too lonely in Calgary Marlborough Park.